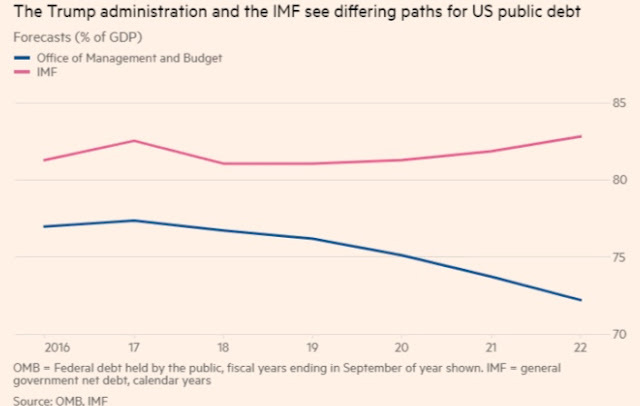 The Trump administration and the IMF have decidedly different views on what theTrump tax reform plan will mean for US government debt. 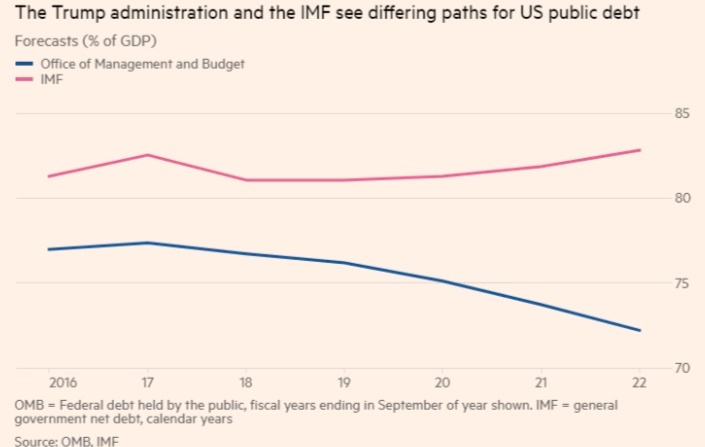 Maurice Obstfeld, IMF chief economist, said earlier this week that any US tax reform should not increase the budget shortfall. “If the stance of fiscal policy turns out to be very expansionary with a big deficit, that would have implications for the dollar, possibly for growth and the current account deficit,” he said. Obstfeld is correct. However, he is a government technocrat so he is all for higher taxes to solve the deficit problem, whereas lower taxes with cuts in spending is the way to shrink the government debt burden.